Here on Ani-TAY, we strive to cover a wide range of things related to anime/manga/general otaku-dom, from reviews to news articles to conventions to announcements, but one thing that I enjoy is sadly left out like a new transfer student who sits in the back corner of class by the window with no friends. This prime MC material is...AMVs. To fix this, AMV of the Week is a series that will be posted every Friday this summer. 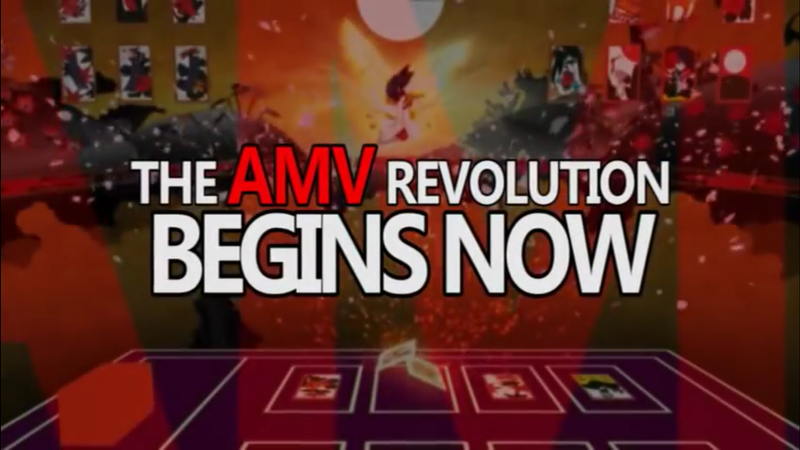 What is this “AMV” you speak of? AMV is actually an acronym for “Anime Music Video.” An AMV is exactly what it sounds like- a music video, but with glorious anime instead of people thinking that you watch to watch them lament the fact that they didn’t make it into the acting business. That sounds like it could go really bad. Yes, sometimes it does, but this is where the shining beacon of Ani-TAY steps in - this summer feature will present you with great AMVs and evaluations, leading you by the hand in this new adventure. That’s...great, but what if I’m a big boy and want to find my own? Well, by all means, go ahead. YouTube is a great place to start if you want to cast a wide net without much regard to prioritizing quality. Looking through AMV competitions’ results will greatly help you procure a number of AMVs that are fine pieces of work. Standard resolution for AMV competitions is usually 720p, so that will help with quality control. Take this advice - it’s dangerous to go alone. Out there, there be monsters. Some AMVs are not for everybody, and some shouldn’t be for anybody. Especially if they are titled with a thrice repeated exclamation of the object form of the word “I.” Never. NEVER EVER. Generally, once I finish an anime I go to YouTube and search for “[anime show title] amv” to find something enjoyable to watch. Sometimes they do a great job of summarizing a show, capturing the emotions of characters, or telling an alternate story. A lot of AMVs are action-centric, but there are a good number of them are about “the feels” or horror/psychological. I end up watching a lot of mediocre-at-best quality, but it’s worth it when you find the one great AMV of the bunch. AMVs can have one or multiple songs as well as one or multiple anime used in the video, though multiple anime is much more prevalent than multiple songs. The visuals are often rips or screen recordings from shows. This usually isn’t much of an issue with newer anime, but older anime being used in AMVs can lead to people putting videos on YouTube in 1080p...of a 480p rip. Another pet peeve of mine is when AMVs have invasive amounts of text on screen throughout the video. All sections are rated on a 10-point scale, which is definitely not a totally meaningless number. Audio/Visual: In this section, I will talk about how appealing the visuals and audio are, such as the flow, balance, colors, pitches, and the like. Transitions, effects, and editing get lumped in here as well. If the video is a 480p rip advertised as a 720p+ video or there are too many words that are distracting from the enjoyment of watching, points will be docked. If the audio is echo-y or grainy, points will drop. Synchronization: This is where I discuss how the audio and visual elements line up and interact with each other. It’s pretty straight forward, but it is indescribably satisfying when you run across an AMV that masterfully utilizes both the video and audio in unison. Especially when characters’ mouth movements match the music perfectly. Planning: How the AMV is organized can heavily influence the viewing experience. Whether the video has distinctive sections, one continuous flowing sequence, or somewhere in between really changes how an AMV will feel and look. This section is dedicated to acknowledging the little things that the creator had to think of while thinking about the AMV they wanted to make such as how transitions fade well, or one element remains persistent between sections/scenes to tie them together. Themes/Alternate Story: A major part of the enjoyment of AMVs is that they can take a show or shows and make an alternate storyline that doesn’t actually happen by emphasizing certain events or changing the chronology of the scene order. They can make an anime of one genre into a story of another genre, or mix anime together by utilizing common themes and ideas. Single anime AMVs will often focus on one relationship/idea/theme from the story and capitalize on it through the choice of music and other elements. Want in on AMV of the Week? Write a comment below or message me on Skype (MaelwysSC113).